The real estate listings of Costa Rica present potential buyers with an array of viable options. Anyone looking to make an investment of a lifetime should start their search here. The market is supreme, the country is thriving, and the benefits residents have are worth the effort. With Dominical Real Estate guiding you through unchartered territory, you’ll have nothing but success. Spend a few minutes browsing our featured properties and check out our user-friendly search function. You can limit your search and hone in on just one property with just a few clicks of the mouse. Some of our clients come to us thinking we’ll be irritated if they’re too particular with what they’re looking for but they quickly see that is not a concern of ours. Be as selective as you like, and we’ll tailor our approach to your needs. We realize that this isn’t just a process for you. The end result will be more for you than an attainment; it’ll be your future. Accordingly, how we are affected by the way you want to do things is not even worth mentioning again. You be the buyer the only way you know how and we’ll be the agent that’ll best serve you. Whether you have a handful of listings to choose from, would like assistance from the start, or are ready to make an offer and obtain representation, we will gladly fill that role. When you have the property of your dreams right in front of you, you’ll want our expertise. 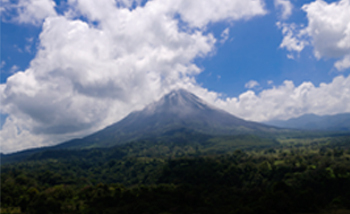 We respect Costa Rica and the opportunities that foreigners have when it comes to purchasing real estate here. Don’t let this chance to own a piece of paradise pass you by. House hunt with no reservations, and come to us when you’re ready to take the next step.